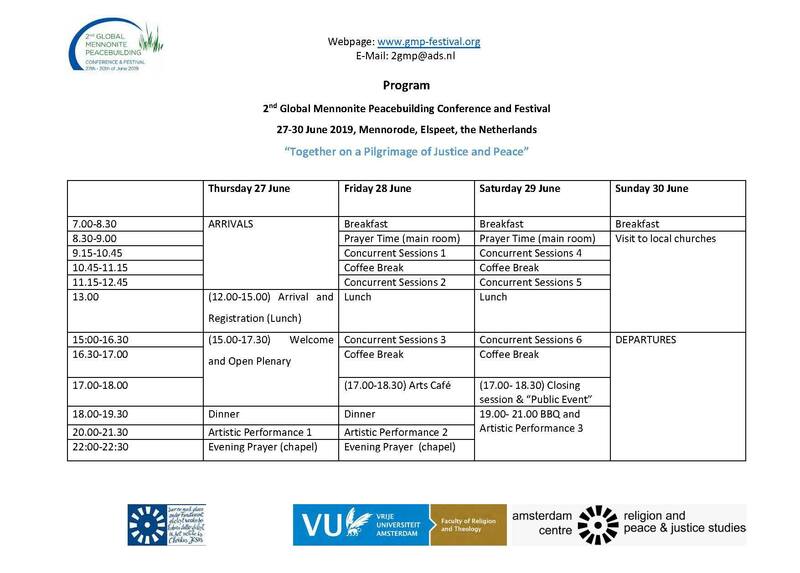 We would like to share with you the schedule of the conference. We are very proud on the diverse and colourful program we have developed for our conference & festival. It shows a great opportunity to share and grow. And we will learn from all the diverse approaches to transform the different violent expressions in our contexts. From different contexts, we will listen and learn about Peace Practices, Spiritualties, Interfaith Peacebuilding, Anabaptist and Mennonite Theology, Education, Esthetics, Decolonization , Contextual Experiences, Environmental Justice, Migration and 'Integration,' and many more.